If you have been following this blog very long, you know we are HUGE Disney fans. But not just Disney, Disney Princesses to be exact. 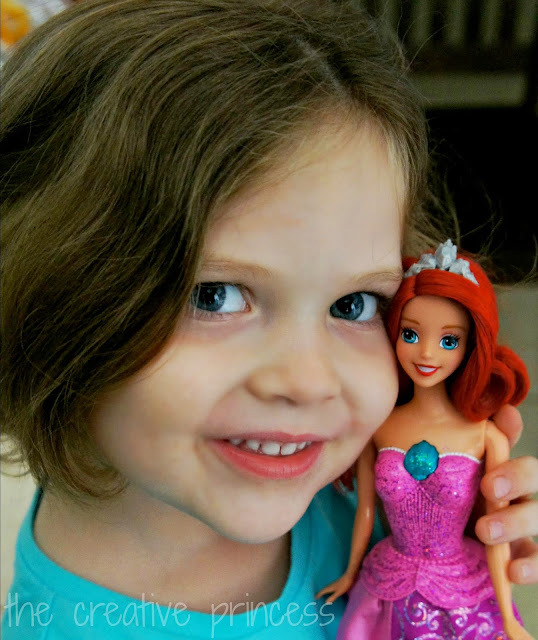 If you ask either of my girls who their favorite Disney Princess is, they will reply with an excited "Ariel". 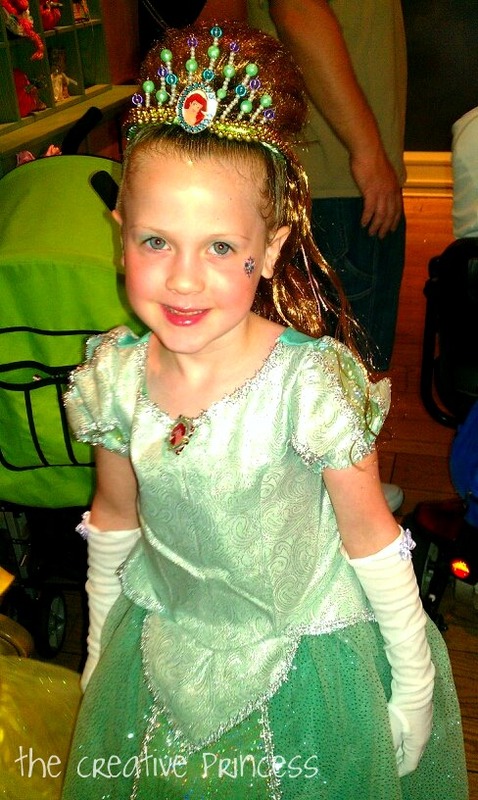 Two years ago, on our very first trip to Walt Disney World, Madison received the Royal Princess Makeover. She was able to be transformed by the wonderful Fairy Godmother's of the Bibbidi Bobbidi Boutique into any Disney Princess of her choice. She chose Princess Ariel, The Little Mermaid. As we prepare for our next trip to Walt Disney World, in just 38 DAYS, we are getting the girls excited with little gifts each month. This month it is all about Ariel. I recently took a trip to Walmart and picked up a few toys I just knew the girls would love! Ok, before we go on. YES! I know that is Merida from Brave. Mads is starting to really love her as well, so I just had to pick her up also. 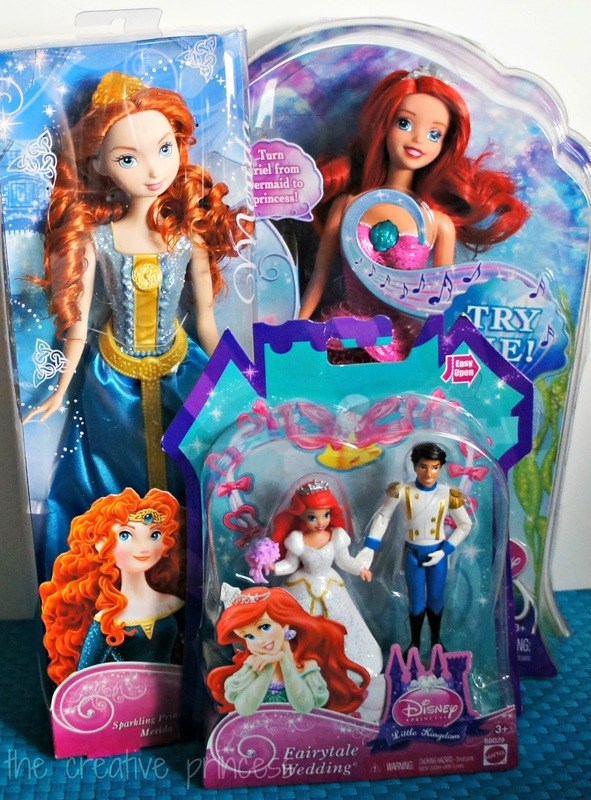 I picked up the Merida Sparkling Princess Doll, a Little Mermaid Small Doll Playset and Transforming Ariel. The Transforming Ariel is SO cool! You pull down on her skirt and her tail goes up into the leg area. If you then pull down on her tail, her dress shortens into a skirt. She also sings, which MG just LOVES. I wish you could bend her at the waist but, the girls love her anyway. MG also LOVES the little playset, she is really into the little figures right now. I plan on getting a few more sets and packing them in our goodie bag to take on the plane. In 38 DAYS!! Did I already say that? We are so excited that The Little Mermaid will be available in a Collector's Edition BlueRay/DVD on October 1st! The copy we have is VERY scratched up, the girls will be so excited to get a new one. 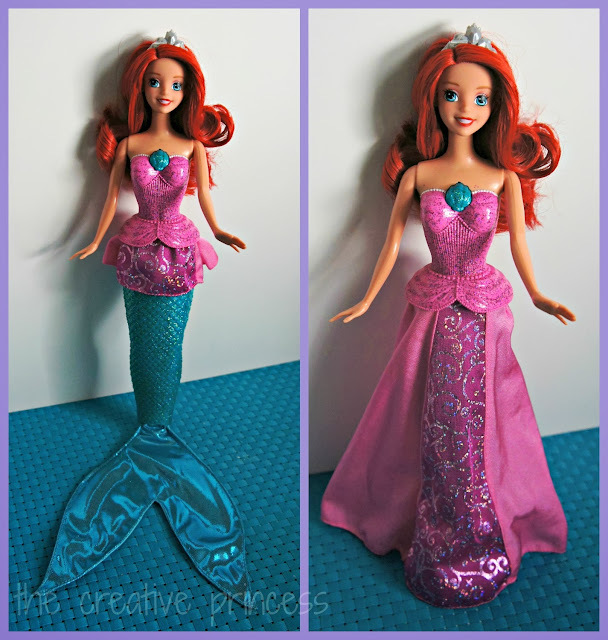 I love that all the Ariel dolls are available now though, it just helps bring the movie to life in our little world. 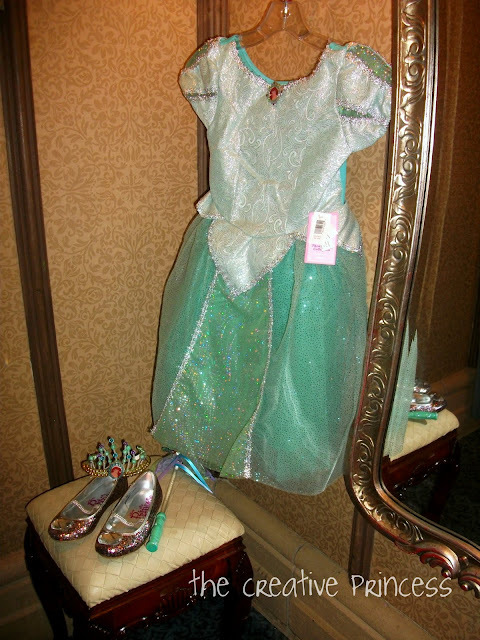 Be sure to check out the Under the Sea Pinterest Board for even more #DisneyPrincessPlay ideas!